07 St. Pauls Terrace (from Brunswick St.) - Wharf St. - Adelaide St. - George St. - Roma St. Stn. 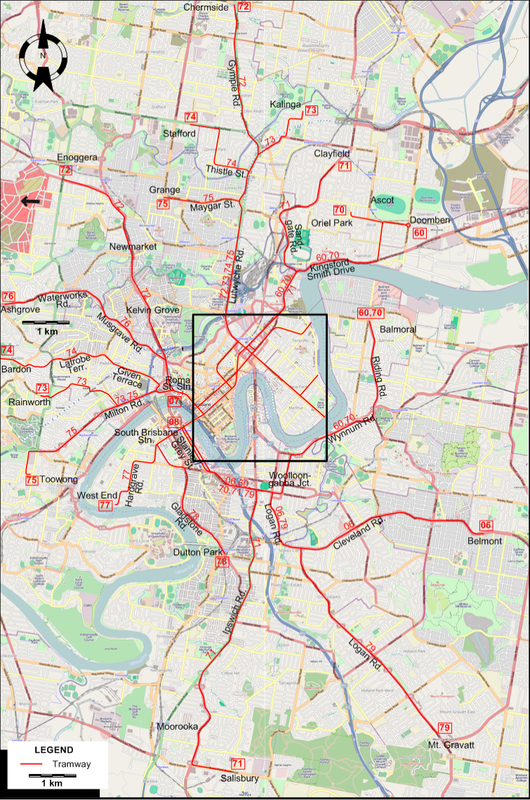 08 St. Pauls Terrace (from Brunswick St.) - Wharf St. - Adelaide St. - Victoria Bridge - South Brisbane Stn. NB: Various short-turn routes operated with route numbers that were variations of the designation of the full-length route. 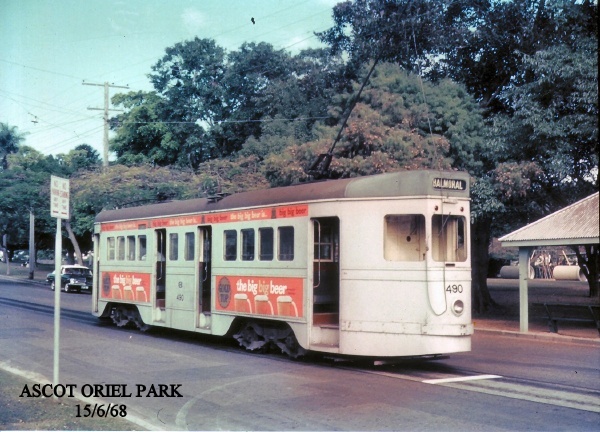 For example, within route 71 (Clayfield - Salisbury) there was 21 (to Juliette Street), 31 (to Ipswich Road), 41 (to Beaudesert Road), 51 (to Moorooka) and 61 (Oriel Road - Campo Road). None of these short-turn routes are shown on the map or in the route list. Tram lines: ca. 70 km. 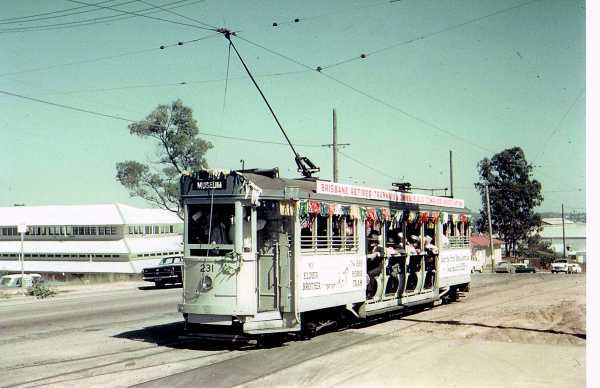 Electric tramways: 21 June 1897 - 12 Apr. 1969. 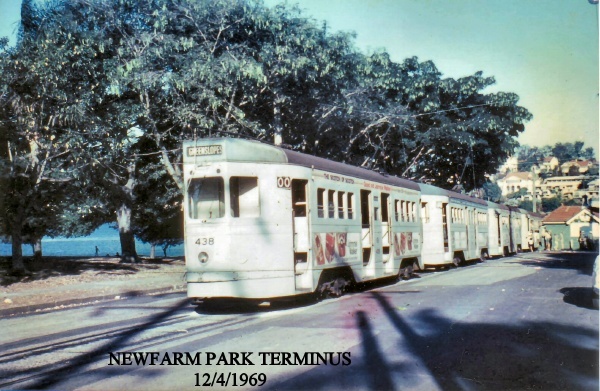 The Brisbane Tramway Museum in Ferny Grove, about 10 km northwest of the city centre, operates old trams along 250 m. of demonstration track. Clark, H.R. & Keenan, D.R. 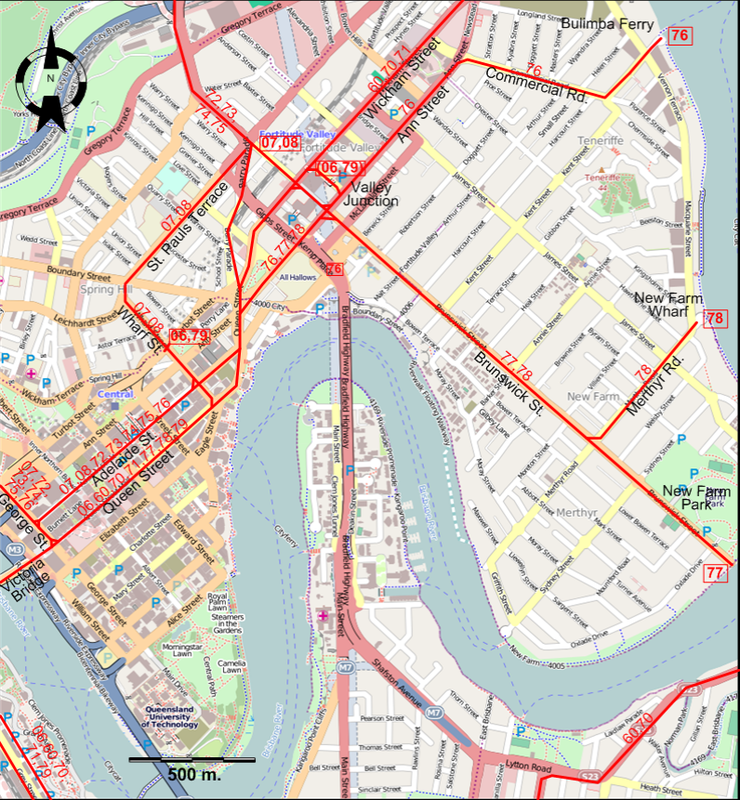 Brisbane Tramways: The last decade. Sans Souci (N.S.W. ): Transit Press, 1977. Special thanks to Rodney and Jenny Sales in Brisbane, Queensland, for their help in preparing this page.